Blogging isn’t free. Creating and sustaining a good blog for yourself or your company is a highly labor-intensive proposition. The people (maybe you) working on the blog could be doing something else that helps the company make money, save money, or both. Thus, blogging presents a serious opportunity cost to the company. Smart organizations methodically calculate the impact of blogging on the bottom line, making it easier to justify (or not) the resources allocated to the task. A. How many staff hours does it take per month to write, edit, track, manage the blog? Let’s assume it’s 36 per month (3 posts per week at an average of 3 hours per post). B. What do those hours cost the company in salary? Let’s assume Susan spends 10 hours per month managing the blog, and her salary is $50,000. Paul spends 8 hours per month writing blog posts at a salary of $75,000. Shashi also spends 8 hours at a salary of $95,000. Warren spends 5 hours at a salary of $150,000. Olivier spends 5 hours at a salary of $40,000. C. What do those hours cost the company in overhead and benefits? Take your monthly salary costs figure ($1405) and multiply it by your company’s standard overhead calculation. This includes benefits, rent on a per-person basis, etc. 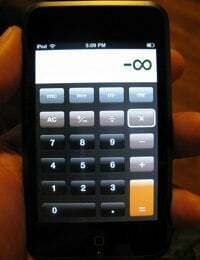 Your accountant or CFO will know this number if you do not, and it’s typically 40% – 50%. We’ll use 45%, so the overhead and benefits cost of the blog labor is $632 ($1405 X 45%). The total labor cost for your blog per month is $2037 ($1405 + $632). D. What does the blog cost in design and technology fees? If you built the blog internally, use the method above to calculate the labor/benefits cost of the blog’s creation. Or, if you had a third party create the blog, find out how much you paid. Divide either internal or external costs (or a combination) by 24 to find a monthly expense. (This is a two year amortization schedule for blog creation. Given that blogging continues to evolve and redesigns are common, I’m not comfortable stretching beyond 24 months). Let’s assume that you had a Web development firm create your blog for $7,500. You did a slight update three months later for $1,000, making your total costs $8,500, and your amortized monthly cost $354 ($8,500 divided by 24). E. What does the blog cost in hosting, maintenance, and app fees? Your hosting, maintenance, and app fees are thus $57 per month. Is that $2448 per month worth it? Let’s find out. A. What revenue-oriented behaviors does the blog create? Unless you’re selling ads on your blog, your blog’s value will primarily be derived in its ability to cause behavior among readers that leads to revenue. That often takes the form of lead generation, especially in B2B circumstances. This part of the process can differ quite a bit depending upon what type of company you are, whether you sell online, etc. But, let’s assume you are the aforementioned Formstack, a provider of drag-and-drop online forms and landing pages (and a Convince & Convert sponsor). On their blog, I’ve highlighted in orange three actions that can potentially create instantaneous leads or sales (in orange), and three other actions that might create leads or sales (in red). We’ll only concern ourselves with the more immediate potential in this analysis. B. How many revenue-oriented actions are created? To ensure that the blog had more than a middling role in driving those behaviors, you could set your Web analytics software (Google Analytics, for example) to only count people who have been on the blog more than 3 times, or have spent more than 3 minutes on the blog before clicking “Sign up Now” or any other attribute that indicates the blog was persuasive. For telephone sales, you might need to verbally inquire about the blog’s role unless you use a special tracking phone number than only appears on the blog (which would be a best practice). C. What is the value of each behavior? 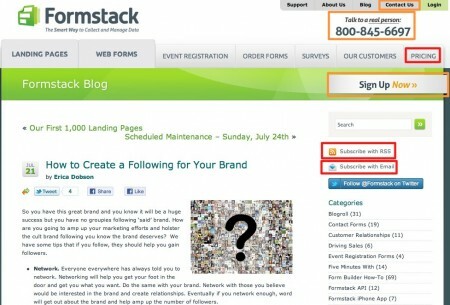 In Formstack’s case, it’s easier because customers can sign up directly online. They just need to know what the average lifetime value of a customer is (although this may require some guesswork for newer companies with less history). Let’s assume (again, not real numbers) that the average new customer spends $25 per month with Formstack, and remains a customer for 12 months. That makes the average lifetime value of a new customer $300 ($25 X 12). However, not all of that $25 per month is net revenue to the company. Formstack has costs to provide the services to their customers, including technology, hosting, support, and other expenses. Most companies know (or can calculate) their true revenue after these expenses have been deducted (make sure you’re not double counting blogging expenses). In this example, let’s assume the true revenue after expenses per customer, per month is $19. That makes the actual lifetime customer value $228. D. What is the total value of the behaviors? In this case, the monthly revenue is $6,840, and the investment is $2448. ($6,840 – $2,448 = $4,392. $4,392 divided by $2,448 = 179%) The monthly ROI of this blogging program is 179%.